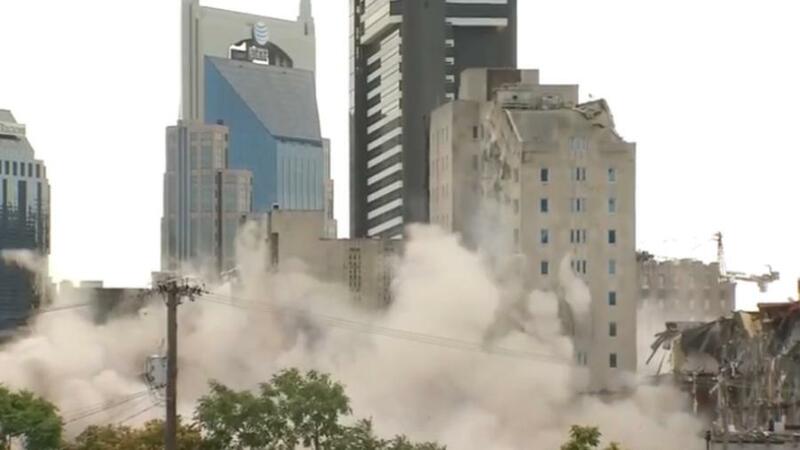 Crews imploded Nashville's historic Sullivan Tower at 8:30 a.m. on July 21. Some of the 11-storey office building, which opened in 1953, had been demolished earlier this year, CBS News reported. Crews placed multiple covers over the building before using 600 lbs. of explosives to bring down the tower in just 10 seconds as an audience gathered to watch the implosion. Area roads were closed as a precaution for around 30 minutes after the demolition was complete, Fox 17 News reported. In 2015, a real estate development firm purchased the 15-acre campus that included Sullivan Tower. The firm has plans for a billion-dollar development called Nashville Yards, which will include a hotel, multi-family apartments, a music venue, a movie theater and a bowling alley. Construction is expected to be complete in 2021, CBS News reported.